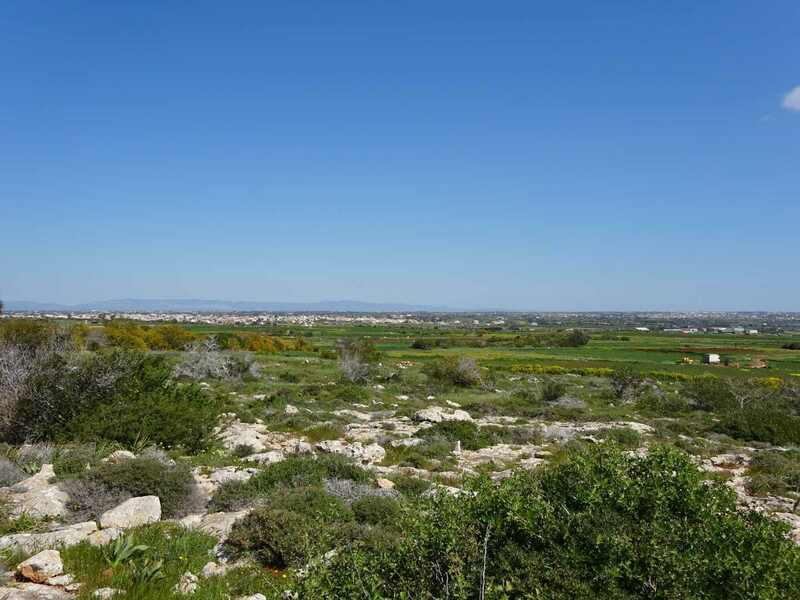 Three kilometers south of Xylophagou village and on the highest point of Pyla’s plateau, around 100 meters from sea level, there’s a cylindrical structure, Xylophagou Tower or Rigainas Tower (Queen’s tower). 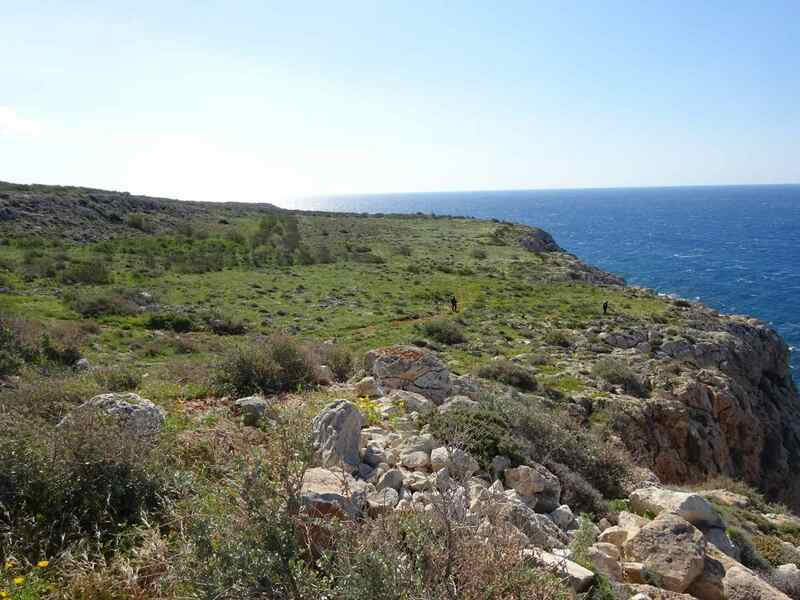 It was built during the medieval period and more specifically during the Venetian occupation of Cyprus. It was built with handmade cubic limestones. This small tower was an observatory for the Venetians. 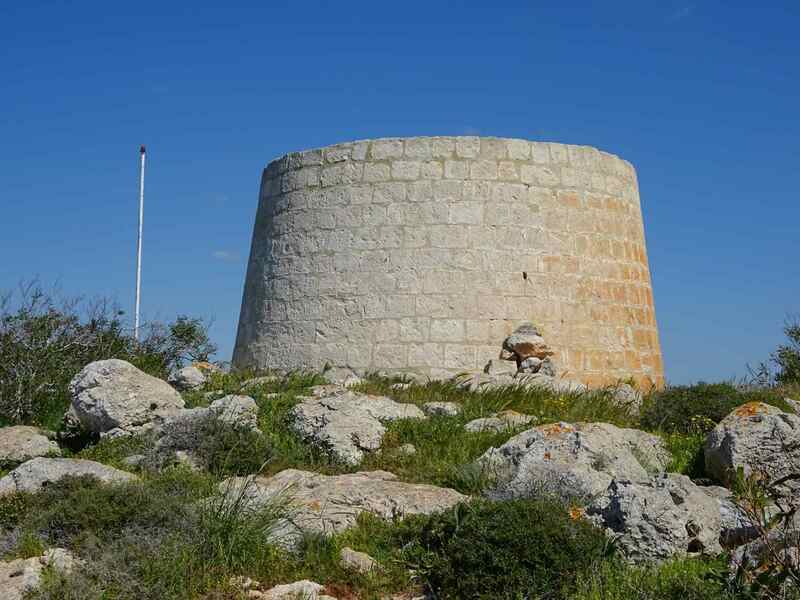 In Cyprus during the medieval era, a lot of the tower-observatories were constructed through the island with the main purpose of monitoring the coastline of Eastern Cyprus and tackling any raids to the island, especially from the Arabs. 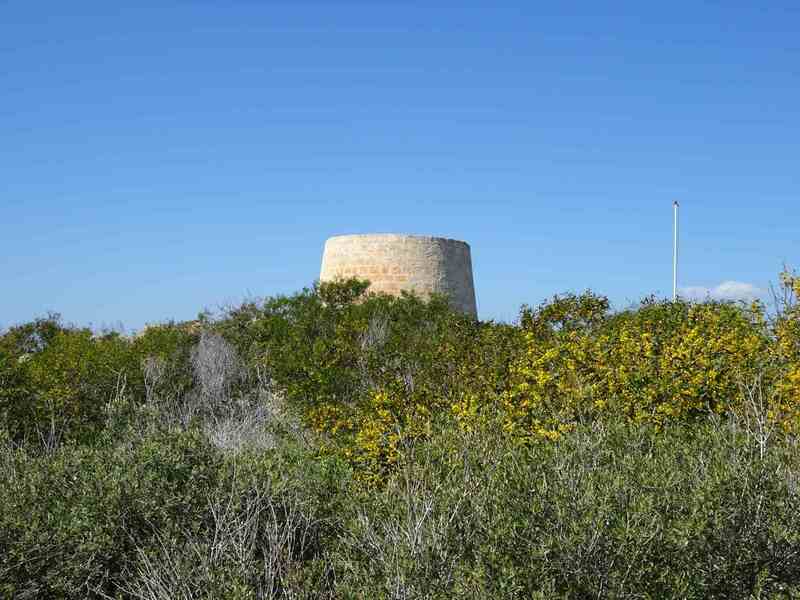 More information about the Tower of Xylophagou, were provided by Luigi di Cesnola. Luigi reported that the height of the tower reaches 22,5 feet and the diameter of the base 86 feet. He also reported that entering the tower was possible only with a movable ladder. Beside the tower there is a wide well, used to pump out water. During the World War II it was used by the British as an observatory for marking enemy ships, submarines and planes. 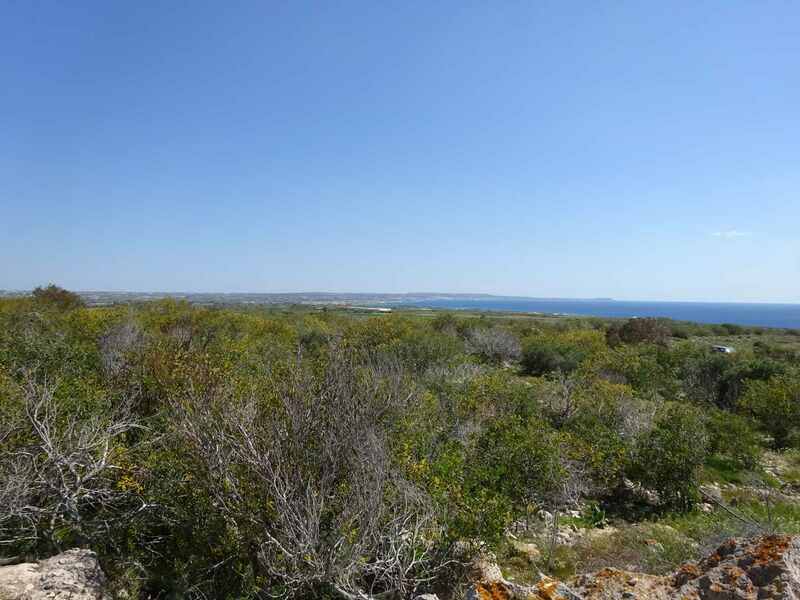 Worth mentioning is the area that the tower is located, provides a spectacular panoramic view. 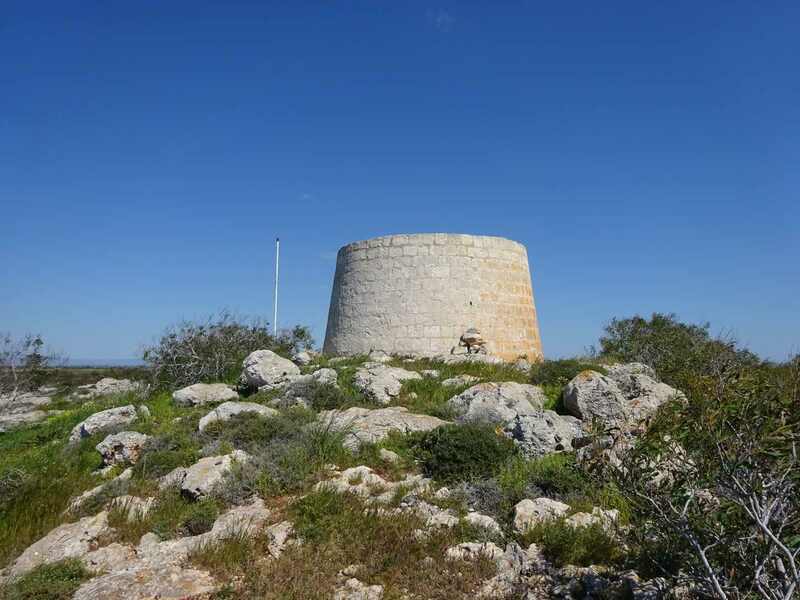 This is because the tower is built on the highest point of Xylophagou forest, which eventually was destroyed for the sake of agriculture.